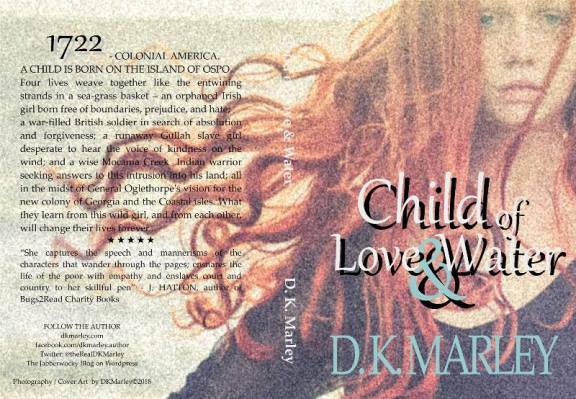 D. K. Marley is a historical fiction writer specializing in Shakespearean themes. Her grandmother, an English Literature teacher, gave her a volume of Shakespeare’s plays when she was eleven, inspiring DK to delve further into the rich Elizabethan language. Eleven years ago she began the research leading to the publication of her first novel “Blood and Ink,” an epic tale of lost dreams, spurned love, jealousy and deception in Tudor England as the two men, William Shakespeare and Kit Marlowe, fight for one name and the famous works now known as the Shakespeare Folio.She is an avid Shakespearean / Marlowan, a member of the Marlowe Society, the Shakespeare Fellowship and a signer of the Declaration of Intent for the Shakespeare Authorship Debate. She has traveled to England three times for intensive research and debate workshops, and is a graduate of the intense training workshop “The Writer’s Retreat Workshop” founded by Gary Provost and hosted by Jason Sitzes.She lives in Georgia with her husband and a Scottish Terriers named Maggie and Buster. In the tradition of “The Marlowe Papers” by Ros Barber, the debut historical fiction novel “Blood and Ink” tells the story of Christopher “Kit” Marlowe, the dark and brooding playwright of Queen Elizabeth’s court. Marlowe sells his soul to gain the one thing he desires: to see his name immortalized. Inspired at an early age on the banks of the Stour River, his passion for a goose quill and ink thrusts him into the labyrinth of England’s underworld – a secret spy ring created by the Queen’s spymaster, Sir Frances Walsingham. Kit suffers the whips and scorns of time as he witnesses the massacre of Paris, the hypocrisy of the church, the rejection from his ‘dark lady,’ the theft of his identity as a playwright, and wrenching loss breathing life into many of his unforgettable characters. As he sinks further into the clutches of Walsingham, a masque is written by his own hand to save his life from shadowing betrayers, from the Queen’s own Star Chamber, and from the Jesuit assassins of Rome, thus sending him into exile and allowing an unknown actor from Stratford-upon-Avon, William Shakespeare, to step into his shoes.